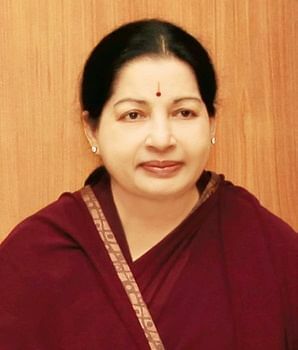 Jayalalithaa wrote to Narendra Modi demanding immediate release of four fishermen apprehended by the Sri Lanka navy. CHENNAI: Chief Minister J Jayalalithaa on Wednesday wrote to Prime Minister Narendra Modi demanding concrete action for the immediate release of four fishermen apprehended by the Sri Lankan Navy and 84 fishing boats in the custody of the neighbouring country. In a letter to Modi, the Chief Minister said that four fishermen in a mechanised fishing boat, who set off from Rameswaram fishing base of Ramanathapuram District have been apprehended by the Sri Lankan Navy in the early hours of (April 5) and taken to Kankesanthurai, Sri Lanka. “ It is very unfortunate that the Sri Lankan authorities continue the trend of apprehension and prolonged incarceration of our fishermen. Long periods of incarceration of our fishermen in the Sri Lankan Jails is subjecting them and their families back home to untold misery and hardship,” she wrote. “I have repeatedly brought to your kind attention, the Sri Lankan Government’s inhumane and cruel strategy of delaying the release of the boats and fishing gear of our fishermen,” the Chief Minister added. “I am constrained to point out that despite my repeated requests, the seized boats and gear belonging to the fishermen of Tamil Nadu have not been released by the Sri Lankan authorities so far. This has severely impaired the means of livelihood of several fishermen families causing great frustration and despondency among the fisher folk of Tamil Nadu,” she said in the letter. “I request you to immediately direct the concerned officials in the ministry of External Affairs to take concrete action through diplomatic channels to secure the immediate release of 4 fishermen apprehended on (April 5),and 84 fishing boats in Sri Lankan custody, the Chief Minister said in the letter.